In-Ground & Above Ground Swimming Pool Pumps - Macomb Twp. 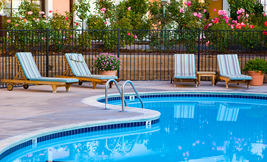 We offer pumps for pools, pool/spa combinations, water features, and pressure-side cleaners. Our brand selection includes Pentair Water Pool and Spa® products, the world leader in pool and spa equipment and accessories. You can see some of their products below. 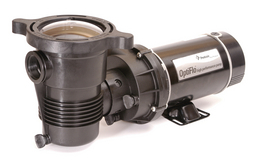 We offer in-ground pool pumps primarily from Pentair Pool Products®. Their pumps are engineered and manufactured to the highest standard of precision and quality for safe, dependable, and long-lasting operation. And, with newly incorporated technology, some of their pumps, like the WhisperFlo® High Performance Pump, are wonderfully quiet. If you have any questions, or are interested in purchasing, talk to one of our sales representatives today! For those interested in reducing costs and energy consumption, IntelliFlo® and IntelliPro® variable speed pumps are said to cut energy costs by up to 90%. This can result in saving large amounts of money over the lifetime of the pump. Click here to be directed to our Eco-Friendly Products page for more information on what you can expect to save. We sell above-ground pool pumps that are high-performance, have outstanding operating efficiency, and long-term reliability. We would be happy to help you choose the proper model and size you should have to maximize your cost savings and filtration efficiency! Also, if you are interested, we offer Filter Systems, which include a pump, filter, base, all hoses, clamps and fittings. Call us now for more information at (586) 566-4600. 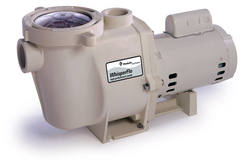 We sell pumps for commercial properties, and service and repair existing commercial equipment. You can trust our expertise and knowledgable staff.